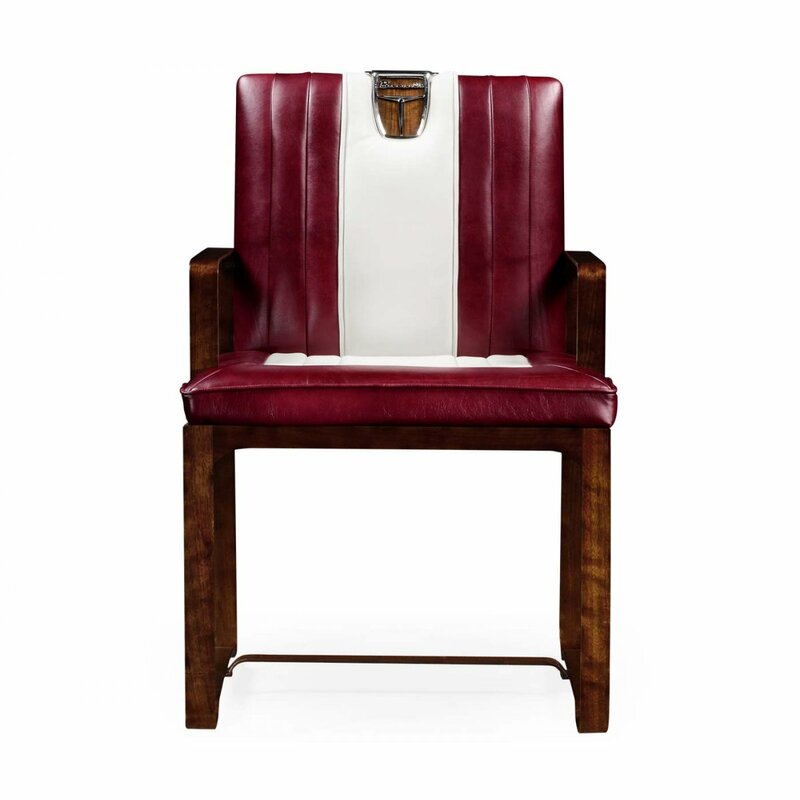 Bring some uniqueness to your home with the Red Leather Armchair in 50's Americana style by Jonathan Charles. 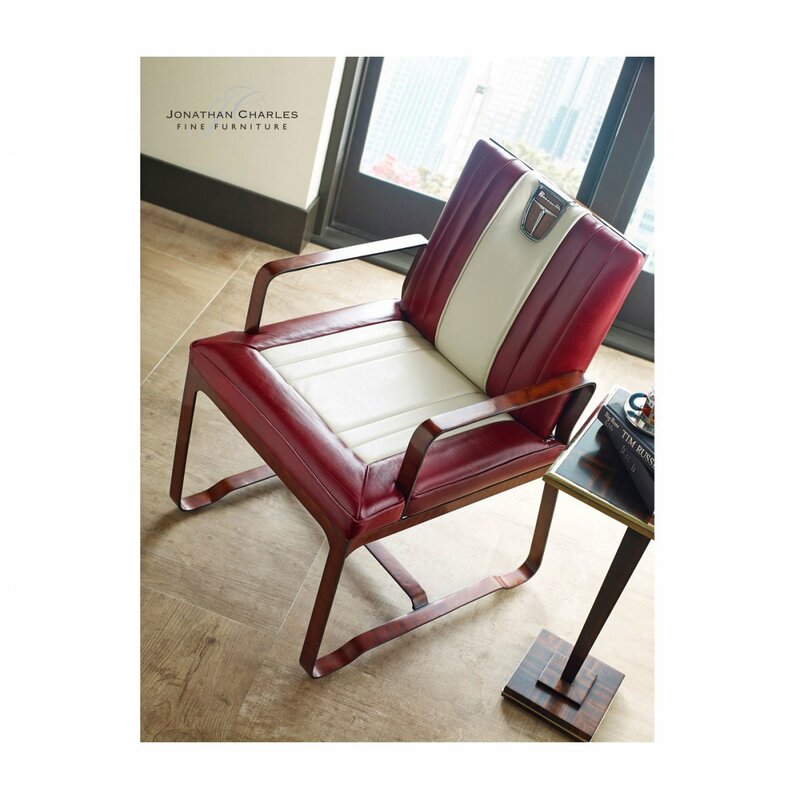 The Retro Armchair is the perfect combination of sharp office style and stylish dining chair: use it both in your home office and at the dinner table for a versatile piece that looks gorgeous in your environment. 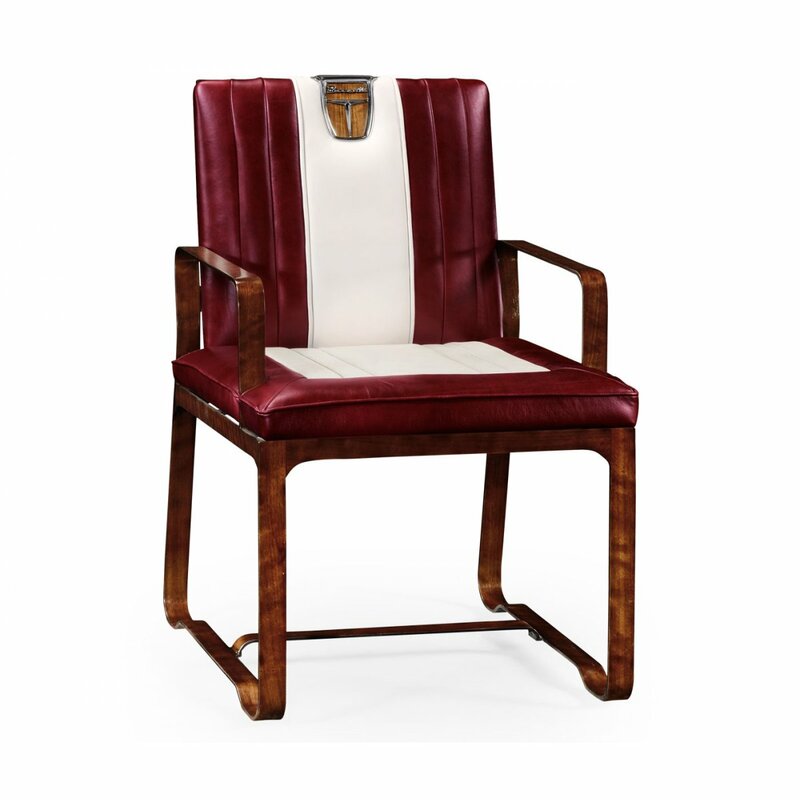 With its Rock'n Retro design and superb contemporary finish, the American iconic chair will add a dose of 50's drama and Americana styling to your home. 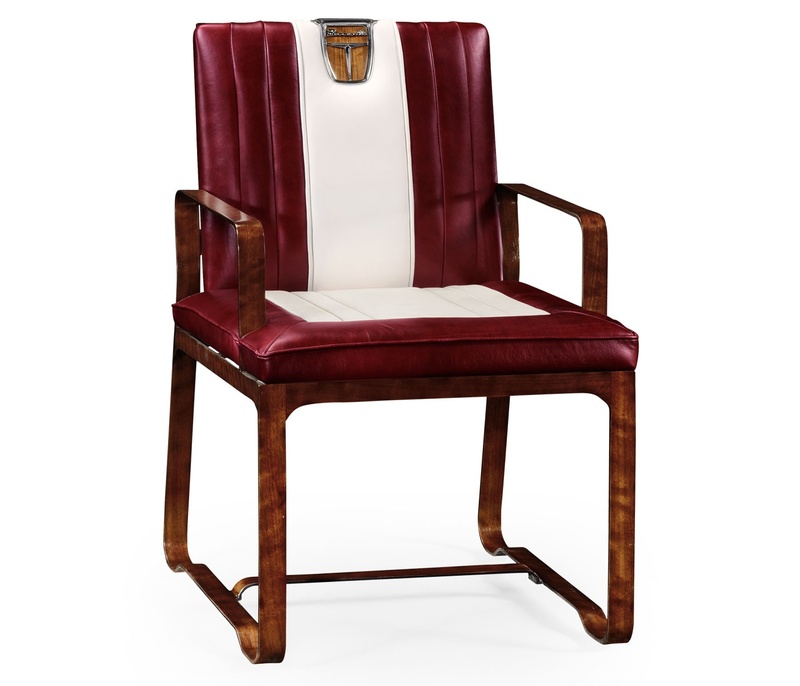 Retro styled unusual Jonathan Charles armchair features red leather upholstery and wood veneers on the metal frame. 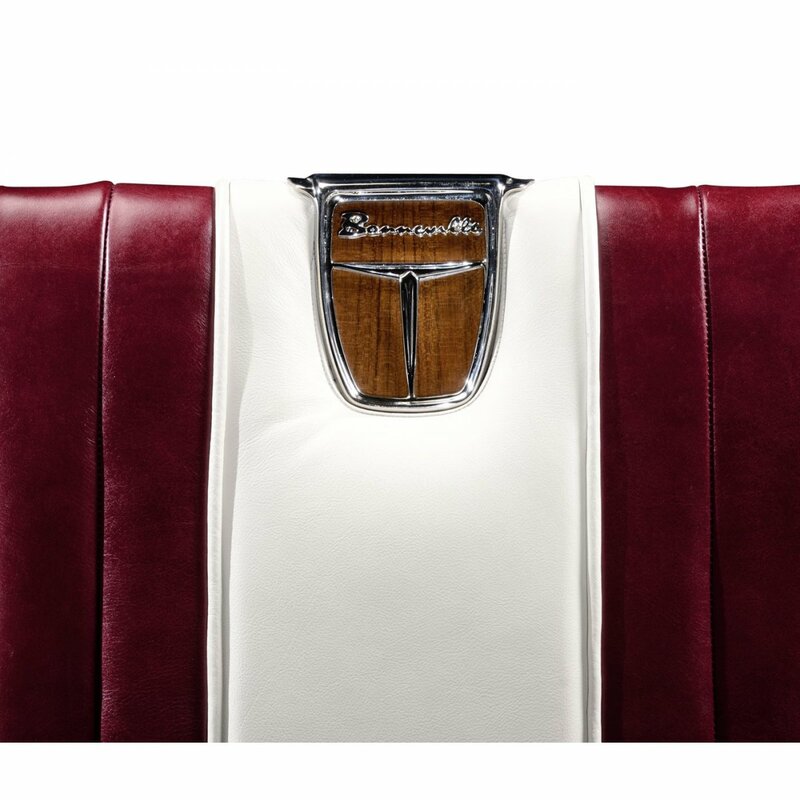 Easy Diner's chair inspired by 1950's Americana style, with the classic colour combination and a car badge detail, would blow everybody away with the unique style and superb quality. 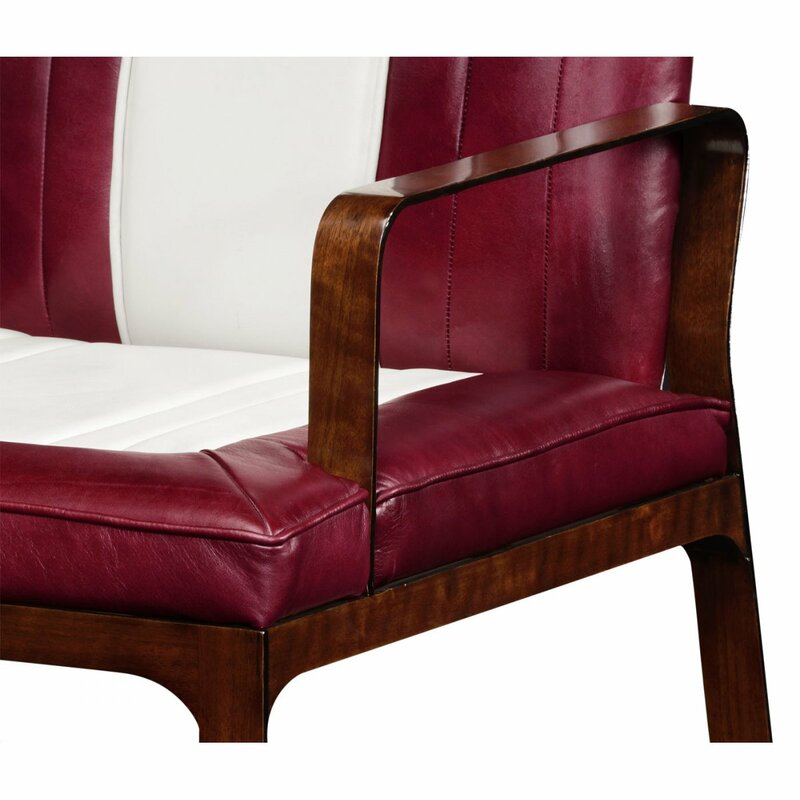 The 50's style armrests feature matching wood veneered metal frame to round off the smart look while adding comfort. 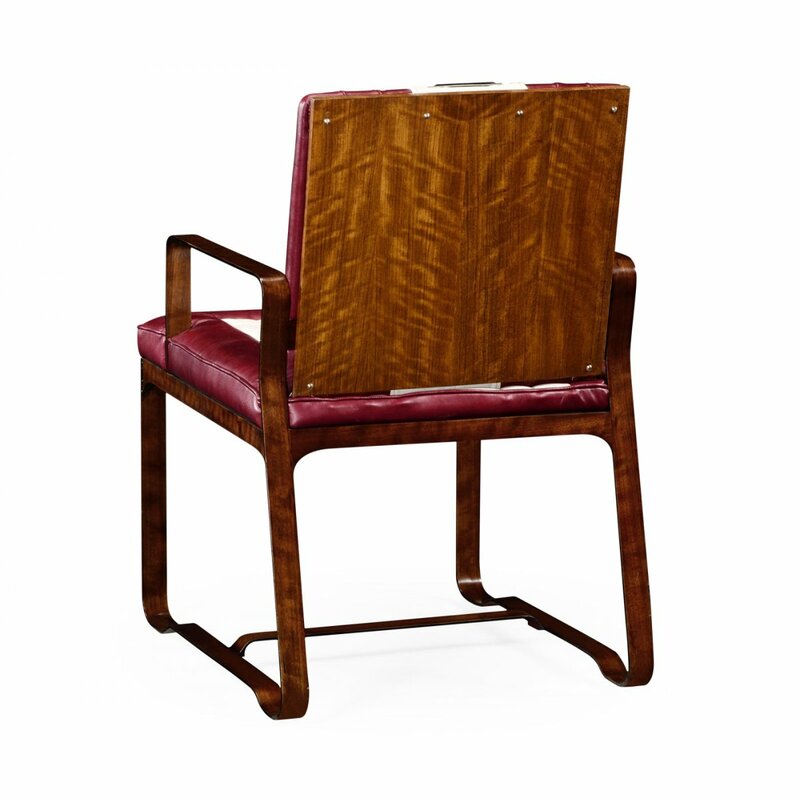 This stylish Armchair/Diner's chair allows you to relax in complete style and comfort. What a great gift for him! 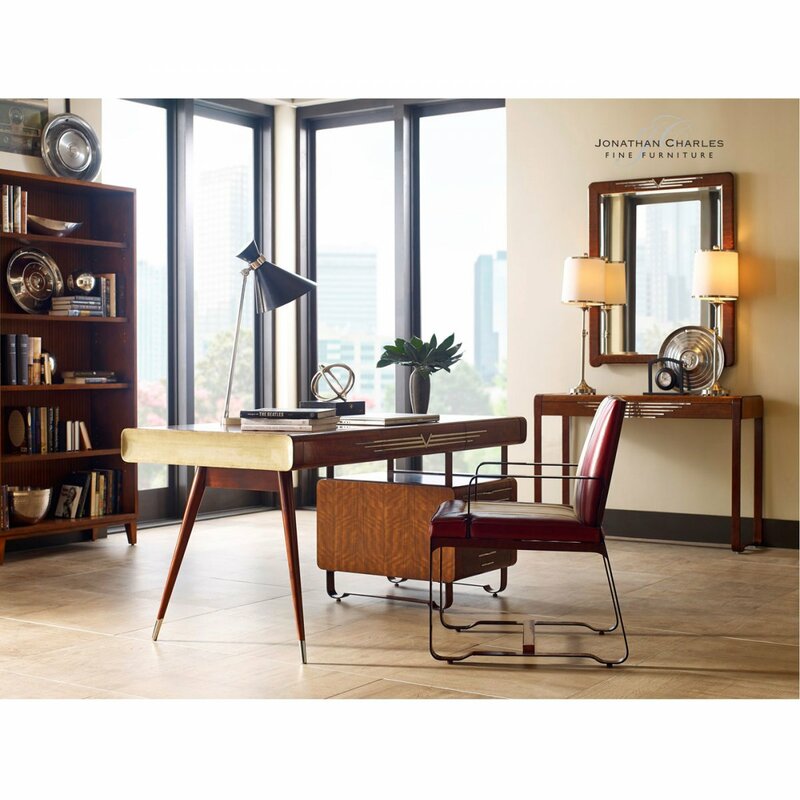 Coordinate with other furnishings from the Jonathan Charles Detroit collection.